Inspiring The World… One Image At A Time! Hello and welcome to my little space on the web. 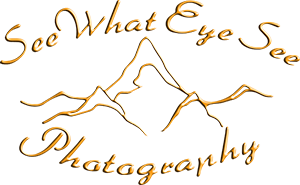 My name is Lynn Stevens, I currently live in beautiful Kelowna, BC, and have been refining my photography skills for over 20 years. Although I enjoy many aspects of photography my specialty is definitely nature and abstracts. I dedicate my love of photography to my one and only mom Burva. She introduced me to my first true love “photography” and has continued to support my adventures through the years and has always encouraged me to follow my dreams. See What Eye See Photography what does it mean?… My love of photography came from the beautiful big skies of Saskatchewan. But my love of nature continued to grow each day as I began to discover the world around me through my lens. The more I photographed the more I realized how many people pass by natures beauty each day without appreciating it. My goal has been to capture the purest of natures designs and to share this vision with the world. Always in hopes that I will help inspire just one person to stop and find beauty within their days. It’s not what I see… It’s what THE EYE sees!